The Home Page and nav bars at the top make everything much more accessible. Thank you very much, Merlene. Just been having a look round the new design – most impressive. I love the mix between Arabic and Western, ancient and modern and, like Merlene, – I can smell those old leather books! You are spot on in your observation. Although the main theme of this web log is rooted in traditional Western Predictive Astrology and its useful interpretation for our times, the chosen theme should be understood as a hommage to medieval Arab astrology. After all it was the transmission of their knowledge that enabled astrology to flourish in Europe. Well ,yes but only partly. It was the Babylonians really who taught the Egyptians, then the Persians, and then the Greeks and Europeans. The Babylonians are the RADIX. 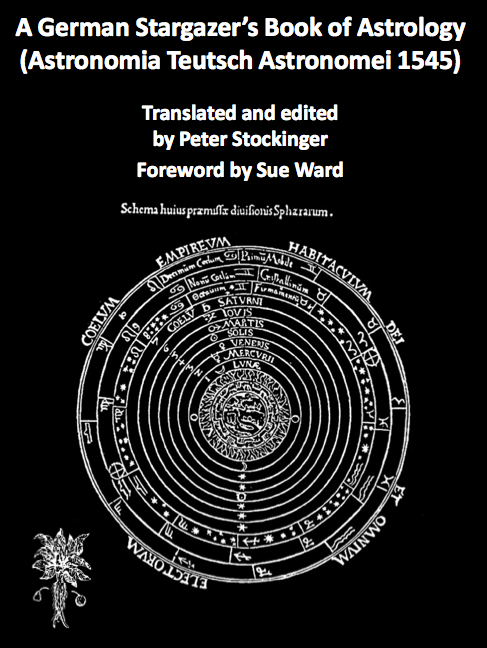 I recently published a handbook about astrology for practical laboratory alchemists. I would love to converse on the subject. Excellent post. The eclipse will fall on my natal north node, so I’m off to check my aspects. Peter, William Lily, frequently quoted by you, astonishes me so much, I cannot recover from this ‘amazement’ ! Now I read your page about next novembers eclipse…what does Sag. rising mean? I’m a Sag. from 12/12/1959, and follow you on Twitter as @fogodoeon. Thank you and I am glad you find it of interest. To answer your question, Sagittarius, or any other sign, rising means that this sign was rising on the eastern horizon at the moment of your birth. In mundane charts it indicates the sign rising on the eastern horizon at the moment the event looked at occurs. If you are born on December 12th it means that your Sun is in Sagittarius but to know your rising sign we would have to know your TIME of birth to eastablish this. Love the leather cover on the “Christian Astrology” by Lilly. Have never seen it available in leather (at least in the US). Would love to get my hand on it… any suggestions on where I might be able to find it? Thanks! Christian Astrology was first published in 1647 and the second edition was published in 1659. In 1985, a facsimile 3rd edition was published by Regulus Publishing. This edition, you can see in the picture, has had a print run of 500 copies only and has long been sold out. 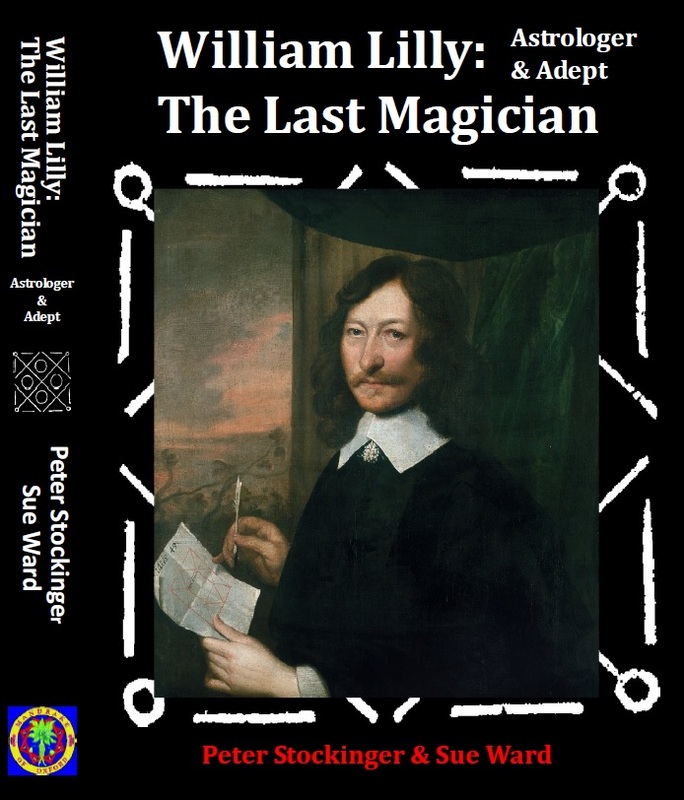 Nevertheless, if you look at secondhand places like abebooks, or even amazon [ http://www.amazon.com/Christian-Astrology-William-Lilly/dp/0948472006/ref=sr_1_4?s=books&ie=UTF8&qid=1335084867&sr=1-4 ] you might be able to find a copy. Expect to pay around $280.00 though. Thanks for reply and information… I did look at amazon, but not hard enough. OUCH on the price though! I am going to try an hunt down and find a bargin price on one. Just create a search in eBay for the title, in quotes, and then save it with notifications turned on. You will be notified if the item turns up. Most booksellers utilise eBay as a standard selling venue right alongside AbeBooks and Amazon. Happy book hunting! You do a very good job! Congratulations! Dr. Stockinger finnaly I understood that the sign rising, is the ascendant, right? I have Capricorn rising over my Sagittarianism, which I hope will giver methods and hope, to Sagittarians need to break fences and explore the wild. the opposite of one another. Peter congrat, for your casting a chart in mid-sommer that Barack Obama will be elected for second term , you were right on, even saying it will be a tight race, but He will be the Winner. Even on some lists the “Other Side” hoping that some votes are still outstanding and “things” could change!lol lol) the 60 millions , or whatever the number was still dont get it in their head, Obama IS THE WINNER!! I loved the dialogs on diff. lists the” for” Obama and the” NO” Obama it reflected in discussions, it is difficult to be neutral it was such a tight race!!! This new face of this blog is really nice, I like it very much. This looks so detailed and intricate! Love all the small illustrations and the style. Looks amazing! I never received your email, so thank you very much for posting it here. not bad at all, thank you. Hope you are well, too. Hi, I was wondering, can we use astrology to change our futures or is the future already set in stone and we just have to cope? Can we actually change our futures through what we learn or just have to cope with the set in stone future in store for us? There are certainly fated events occurring in a person’s live, which are unchangeable; death is only one of them. But then, on the other hand, it seems that we have free will to make many other important decisions. One of them may be to consult an astrologer to ask a horary question before we decide how to proceed. Predictive astrology would be pretty useless and would certainly have died out long ago if the client could not listen to the findings of the astrologer and make up their mind, accordingly. In this way they can definitely change their future! I have two nasty squares in my chart and a pairing of Pluto and Saturn in the 10th house. I was living in NY and became the victim of a stalker. He tried to injure me physically, vandalized and burglarized my home regularly. I had two restraining orders out on him. My attorney told me to move as far away as I could because from what he had seen in his career, these things never get any better; only worse. So, I moved 1,200 miles south to Central Florida. It was like Groundhog Day. From the beginning there were attempts at extortion, my home and car have been vandalized regularly to include punching huge holes all across my roof so rain pours into the house at a couple of points, two of my German shepherd dogs murdered, and I am being burglarized almost daily. Recently, he got in, went through my purse while I slept, took my keys and had them all copied. Then, two days ago he entered, stole all my DVDs on hand, and got into my file cabinet containing all sort of things like diplomas, licenses, etc. He’s taken my college ring and other valuable jewelry, books clothing, tools, kitchen equipment and anything else that either took his fancy or was valuable for his use or resale. So, it’s deja vu and I can’t get away from it and the police don’t want to hear about it. I was told by an astrologer 30 years ago in HI this would be taking place, again by an astrologer 25 years ago in CA, then 20 years ago in Boston, then 15 years ago by an astrologer in CT, and then a year ago by an English astrologer in London. So, my take is, I can’t escape it. Whatever is in the horoscope dictates what your life will look like. Now, astrologers don’t like to be the bearer of bad news; especially if someone has a pretty bad chart so they tell us we have free will, but my personal experiences have proven to me, at least, that we are victims of “fate”. Also, I have been reading Beyond 2012. The author has very interesting things to say about planets being added to our solar system when change is being required of us as a whole. Unfortunately, whatever intelligence is in charge of all of this, likes to teach through pain and suffering. And the next two years are going to give us pretty full plates. As to what we can do about it… not much, I’m afraid. But if anyone has any suggestions, I’d be wide open to hearing them. Nice Blog. i like it very much. Thank you for sharing this useful information with us. I am actively researching, studying, and using Astrology. For this reason, I do appreciate your work. Your thoughts please.Time I think is PDT. 19/06/2014 – page refreshed daily. A big event occurs at 3:51PM when the Inferior Conjunction of the Sun and Mercury happens at 29 degrees of Gemini. The eminent astrologers Dane Rudhyar and Dr. Marc Edmund Jones referred to this as a New Mercury, and it only occurs approximately every 4 months, when Mercury is retrograde and between the Sun and Earth. Dynamic seed-ideas are attempting to enter the higher minds of aspiring human souls. Therefore, keep your thoughts pure and be receptive to extra-terrestrial insights that can turn your life around for the good. Thanks. Im signing as Anon. Thank you for your comment. I would appreciate it though if you would have the decency to identify yourself, rather than hide behind your anonymity. As for your question, you may follow me on twitter, where I have already given my opinion on today’s cazimi Mercury. I wrote: Mercury Rx will be cazimi (conjunct Sun) in Gemini between 18:24UT and 03:18UT. Very useful for a lucid intellectual journey into the past. Definition of cazimi: any Planet within 17.5 minutes of the Sun’s position is cazimi, which, on the contrary to USB and Combustion, is very beneficial. Very nice blog Peter..very interesting and attractive.Good job. I read Tarot and have practiced planetary magic. I also have an interest in Astronomy. Like one of the above comments, I do believe that the short term can be bended and changed by free will (our own actions) but that major forces (just like major cards) are somewhat out of our control. One thing I would like your take on – even science rehashes theories with new discoveries. In regards Astronomy – Lyra, a star but which is deemed by some as part of a constellation and this was not picked up long ago; surely changes the fact that their are only twelve signs. As technology advances in terms of space and new planets being discovered -how does this impact Astrology? What’s your take on this? Do you think it’s a proximity thing; such as the ones we know are in ‘our range’ coupled with the fact our acceptance has given them power through collective energy of thought… so ‘they work’, so to speak. I am genuinely puzzled and curious. If I understand you correctly, you are wondering if new astronomical discoveries could alter the number of zodiac signs used in astrology. What you have to bear in mind is the fact that the 12 signs of the zodiac are only imaginary 30 degree segments of the ecliptic. In other words, they do not exist in the material world. 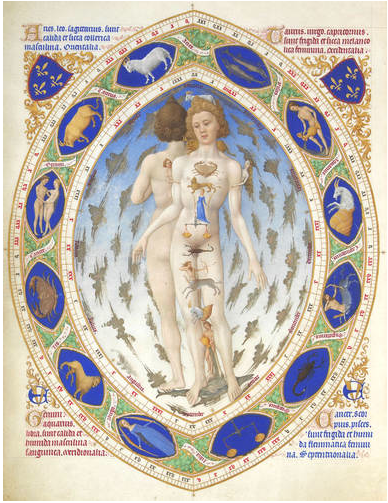 It is true though, that the 12 signs of the zodiac were once roughly overlaid by the constellations of the same name. Due to the precession of the equinoxes, this is not the case anymore. The point I want to make is, that new discoveries in the realm of astronomy will never change the concept and number of zodiacal signs. As for the planets, much the same applies here. Modern astrologers make use of Uranus, Neptune, Pluto, the asteroids, and many other objetcs, while traditional astrology restricts itself to the 7 planets. Traditionally, the planets are seen as symbols, rather than objects, physically influencing us. There are also correspondences to metals, colours, and so forth, which make use of a 7-fold symmetry. The introduction of other bodies would destroy this scheme. A good analogy, which is worth keeping in mind, is the theory that light is at the basis of everything. For this reason, only planets visible to the naked eye can be used in traditional astrology. 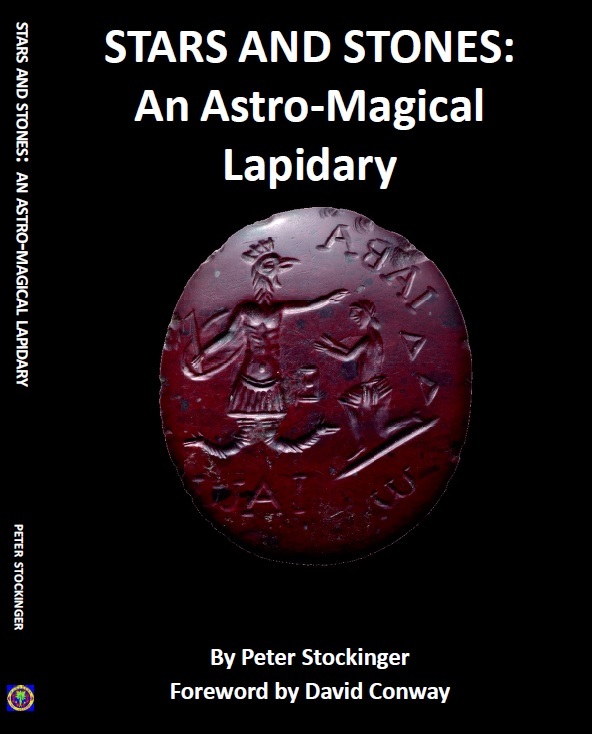 We can only scratch the surface here, but if you are interested in astrological theory, I would recommend my new book “Stars and Stones – An Astro-Magical Lapidary”, which will be published in 2015. Thank you very much, Judy. I hope you will find some interesting bits and pieces. Hello Peter, i have read your blog on astrology usually we are not behavior with astrology but from these kinds of articles we gain some thing new in astrology. Actually i have a deep faith in astrology Thank you for sharing this useful information with us. Thank you for your kind comments, Siddartha. I had a look at your website, which I like very much. I am in the process of publishing my next book, dealing with the astrology of gemstones. The manuscript is at the publisher’s and should be released this year. I recommend many gemstones you have for sale on your website, so this book might be of particular interest to you. Watch this space for the release date and for further details of my book! I see Neptune on his asc and fear drug addiction in the future. Would you recommend she wait as long as she can after the eclipse to have the c-section? Due to the reltively wide window of possible birth time, it is impossible to predict what will happen or how the nativity will turn out to be. If you are worried, which you obviously are, change the date of the c section for peace of mind. This is really informational blog. I hope you will post this kind of information blog in future also. Well Done! Keep Posting.